Inside a giant igloo in a snowy Norwegian village, the sound of a horn rings out, warming the mood of a freezing audience, huddled together in -24 Celsius. 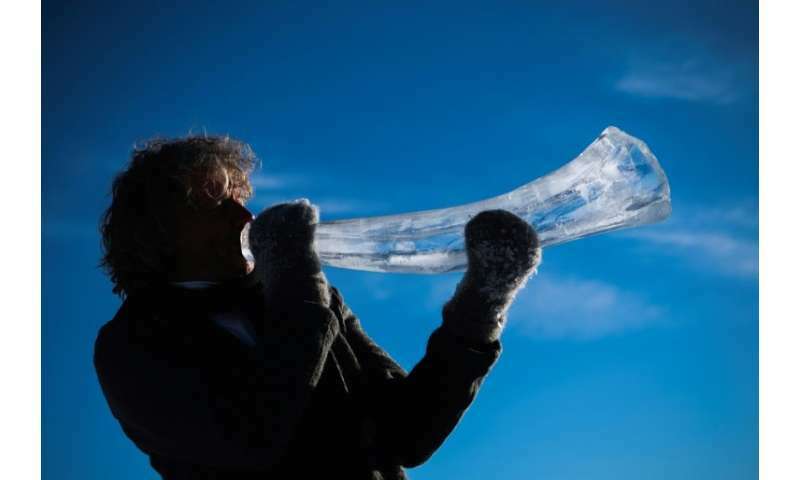 But the four musicians performing are even colder: the instruments they are playing are all made of ice. 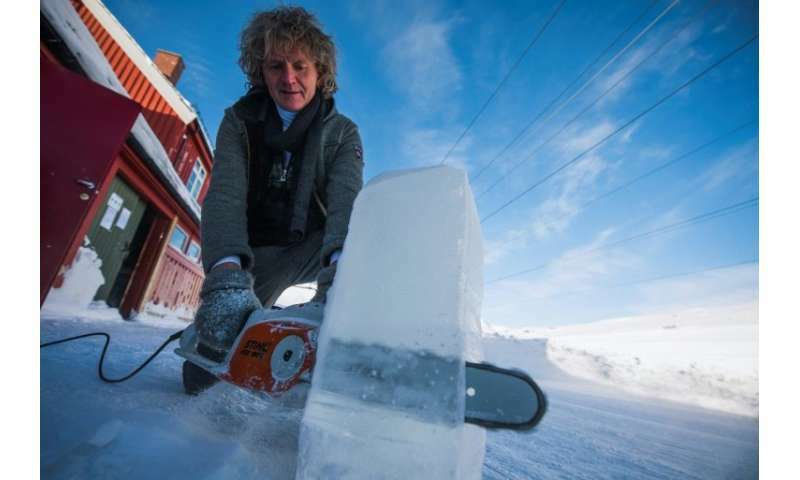 The xylophone, claves and wind instruments have been painstakingly carved from ice blocks extracted from a frozen lake, and are now part of a finger-numbing performance at the 13th Ice Music Festival in the mountain village of Finse. The problem is, the longer the musicians play, the more the instruments start to disintegrate. It is not an easy task "to perform on instruments that are melting while you play them," says percussionist Terje Isungset, also the founder of the festival. Wearing thick wool gloves, he blows warm air into his ice-sculpted horn, illuminated under blue and turquoise lights. Next to him, a singer with an angelic voice covers her mouth with a scarf to stay warm, while a bass player removes his gloves so he can pull the strings on his ice-made instrument. The setting of the festival, 195 kilometres (121 miles) west of Oslo, is not for anyone sensitive to a shivering climate. Held between February 2 and 3 inside an igloo built solely of ice, dozens of people wearing clothing fit to survive freezing mountain weather sit on snow benches while cheering and wrapping their arms around each other. As the night grows older, a band member blows into a long ice wind instrument shaped like an Australian didgeridoo, vibrating across the venue. "It's a fine line between art and madness," Emile Holba, a UK-based photographer and crew member, tells AFP as he bursts into laughter. "Things can go wrong, instruments can break...the audience likes the purity of it," he adds. The festival has previously been held in Geilo, a ski resort in the central mountain region of Norway. But organisers say the weather there has become milder, making it difficult to build ice venues and harder to prevent the instruments from melting. "This winter... the ice was really slushy and difficult to deal with," Isungset said. "It's the first time I have seen ice like this." In search of guaranteed freezing temperatures, the festival moved further west to Finse, a 30 minute train ride from Geilo. 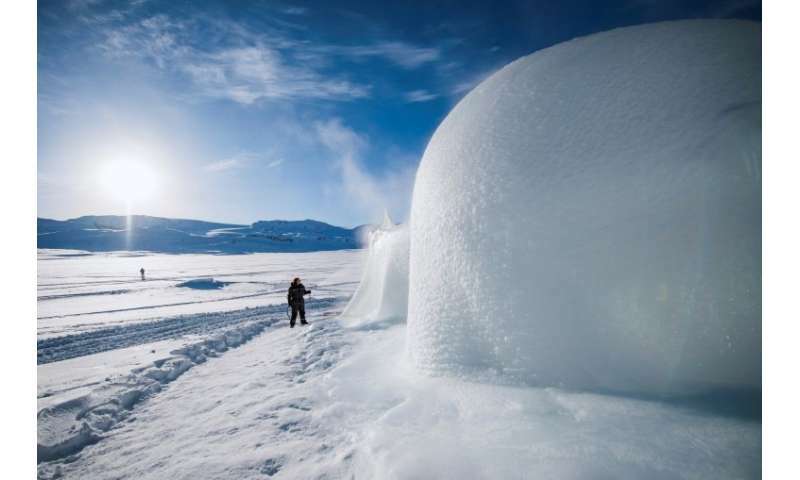 Surrounded by mountains framing a glacier, the area was used to create the snow planet "Hoth" in the opening scene of Star War's movie "The Empire Strikes Back". The village was also the base for Antarctic expedition training by British explorer Ernest Shackleton (1874-1922) and his Norwegian counterpart Fridtjof Nansen (1861-1930). "It's kind of otherworldly...there is magic there," says Holba. Preparing the festival is no simple task. It took organisers a week to build the igloo and the ice needed to be sourced and collected by a crew of more than 20 people. Large chunks were removed from a nearby lake and the musicians used chainsaws, hammers and chisels to carefully sculpt the instruments. "It's just music....and trying to create something out of nearly nothing," Isungset said. After the festival, some of the instruments do become nearly nothing again, the ice dripping away back into the earth. But a few of the ice-creations do survive. If deemed to be in good enough shape, the instruments are stored inside a freezer, waiting in frozen isolation, to be used again the following year.